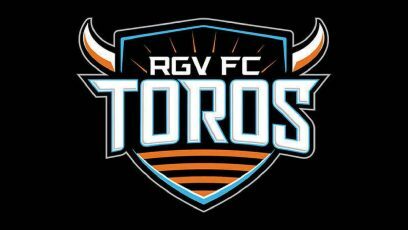 The RGV FC Toros extended their franchise-record winless streak on Saturday with a 3-1 loss to OKC Energy FC at Taft Stadium in Oklahoma City. RGV is winless in eight matches since a 2-0 victory against Orange County SC on April 25. Saturday marked the Toros’ third straight loss after a series of five consecutive draws. The latest setback drops RGV to 1-6-7 on the season, a total of 10 points that ranks 16th of 17 teams in the USL’s Western Conference. OKC picked up just its fourth win of the season, moving to 4-10-1 with 13 points. With the Houston Dynamo set to play Minnesota United FC in the U.S. Open Cup on Monday, RGV FC was without usual starters forward Aldo Quintanilla and midfielder Todd Wharton. Still, RGV FC scored first on Saturday, tallying in the 15th minute. After a flurry of early pressure, the Toros played a corner kick short to Jesus Enriquez. His attempt at a cross was deflected into the air, so he headed the ball toward center, where Omar Ontiveros trickled a rolling shot into the net from about 8 yards. OKC found an equalizer in the 21st minute. After RGV FC turned the ball over in its own zone, a scramble ended with the ball at the foot of Jaime Siaj, who fired into an open net from the penalty spot. The Energy found the game-winning goal in the 53rd minute, when Callum Ross headed in a corner kick from about 6 yards. OKC tacked on a final tally in the seventh minute of stoppage time, when Miguel Gonzalez dribbled into an empty net on a counterattack following RGV’s last-chance effort on a corner kick. For the game, RGV FC held 56.6 percent of possession and led 17-13 in shots and 7-6 in shots on target. OKC entered Saturday’s match ranked last in the USL with nine goals on the season. RGV returns to action when it hosts Phoenix Rising FC on June 23 at H-E-B Park in Edinburg.